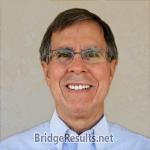 Jean Joseph and Richard Gitter scored 1.06 masterpoints with a 56.33% game at Bridge On Shea. See full results of this game. Barbara Dali and Terri Richards scored 0.34 masterpoints with a 45.86% game at Bridge On Shea. See full results of this game. Jean Joseph and Evan Lancaster scored 0.26 masterpoints with a 52.6% game at Bridge On Shea. See full results of this game. 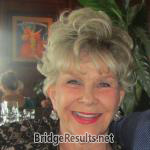 Pat Sandler and Joan Beuchel scored 0.67 masterpoints with a 50.93% game at In Tempo Bridge Club. See full results of this game. Jean Joseph and Maddy Bloom scored 2.46 masterpoints with a 59.62% game at Bridge On Shea. See full results of this game. Sharon Teitel and Joan Beuchel scored 0.84 masterpoints with a 53.01% game at In Tempo Bridge Club. See full results of this game. Pat Sandler and Judy Gordon scored 1.12 masterpoints with a ★61.83%★ game at In Tempo Bridge Club. See full results of this game.